Only Administrators of a Passle have the ability to publish posts (make posts live). If you save a post as a draft, it will not be publicly available until it is published. A post can be made live when it is first written by selecting the publish button. 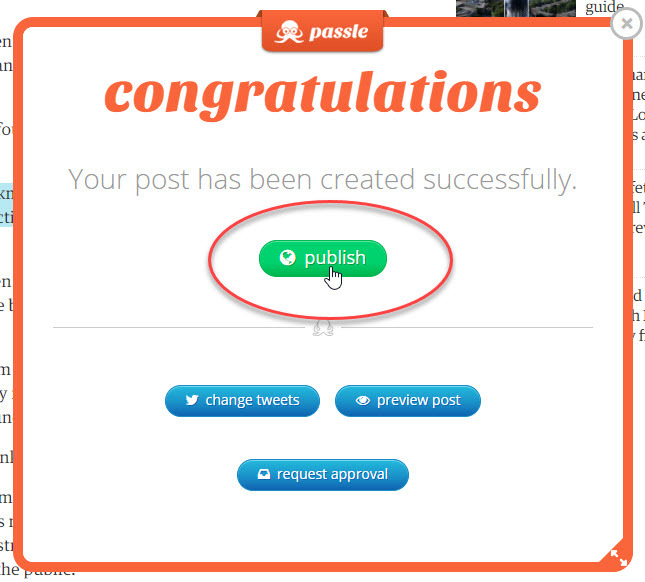 You can make the post live at a later stage by going to the Passle dashboard and selecting the Publish button from the edit post page. 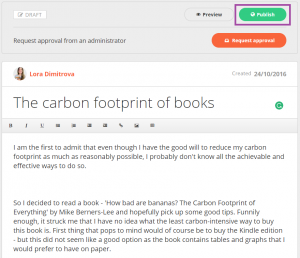 You can also make the post live from the Preview page by selecting the Publish button. If you cannot see the publish button when creating your post, you can request approval from your administrator who will be notified that your post is pending. You can also request approval from the Preview page.